Working in developing countries one has an opportunity to see the effects—or lack thereof—of charities working in the development sector. For years I have been a strong supporter of Kiva which is a micro-finance site where we can identify people in different countries and provide support to them through a micro-loan. Of the 31 loans I’ve given, only one has not been repaid which is much better than I had anticipated. I use Kiva to find people in the countries I’m working in and support them, and my wife and I also don’t give gifts for birthdays etc. but Kiva vouchers. Another initiative I support is ‘Give Well’. I came across them through a program where professional poker players give 2% of their salary to the top charities identified by GiveWell. Focused on Evidence Based Interventions: Programs which are evidenced based for making an impact. Thoroughly Vetted and Highly Transparent: There needs to be open public discussion of their track record, both good and bad. The evidenced based criterion is controversial. I remember listening to an interview of a large NGO providing cows to farmers in Africa, with expenditure of hundreds of thousands of pounds a year, and they had not done a single proper analysis on the poverty impact of their efforts. 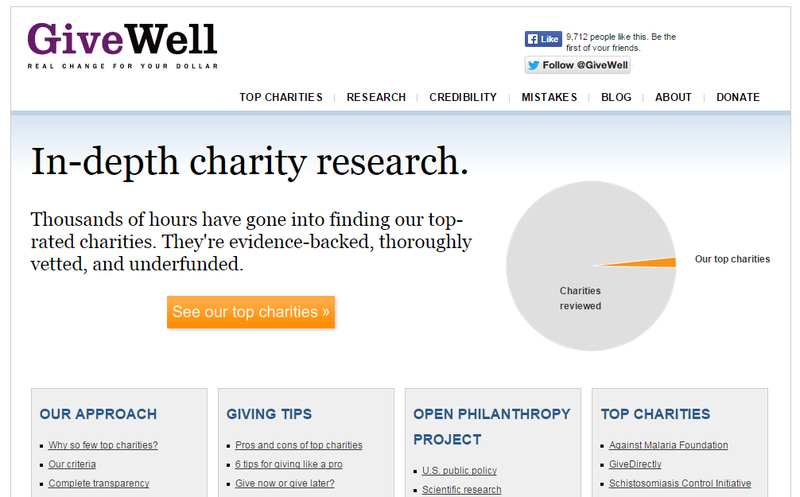 The GiveWell site has a database where they give an assessment of a range of charities. What is telling are the ones which declined to participate in the review—one of which was Helen Keller International which I raised funds for as a child. It’s also interesting how many don’t meet the above three criteria—including several that I have (and continue) to support. When you read about their efforts and they way they operate it is clear that they are making a real impact. So I’ve used GiveWell to support them. After all, if poker players can do this so can I! You are currently browsing the World Bank Traveller blog archives for February, 2015.